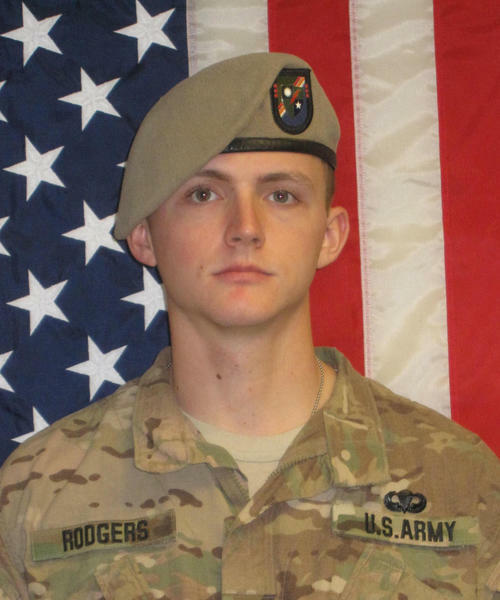 By unanimous vote the Illinois House this week approved renaming a section of Veterans Parkway in Bloomington and Normal in honor of Army Ranger Sergeant Joshua P. Rodgers of Bloomington who gave his life for his country on April 27. The resolution was sponsored by State Representative Dan Brady (R-Normal). “Josh Rodgers joined the Army after graduating from Normal Community High School because he wanted to serve his country and his community. He was a decorated soldier, but he was also a loved and loving son, grandson, brother and friend. He made everyone who knew him proud, and we in turn are proud to honor him with this memorial highway designation,” Representative Brady said. House Joint Resolution 84 designates Veterans Parkway from the intersection of Interstate 74 to the intersection of Interstate 55 as the Army Ranger Sergeant Joshua P. Rodgers Memorial Highway, and directs the Illinois Department of Transportation to erect the appropriate signage. Having passed the House, the resolution now awaits final approval in the Illinois Senate.